Looking for a reservation for this weekend? Please read the reservation policies and park rules below before booking. Sign up in park offices and earn points toward free reservations. Georgia State Park rewards program. We have accommodations for all preferences and budgets. Outdoor enthusiasts can choose from developed or primitive campsites, while others may prefer cozy cabins, yurts or hotel-style lodge rooms. 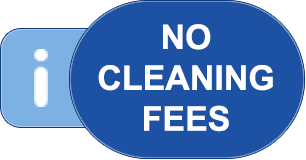 Cleaning fees are included in our rates. In accordance to the Georgia Smoke-free Act of 2005, all enclosed state park and lodge facilities are smoke-free. Select a park on the map to make online reservations or call 1-800-864-7275 (Monday–Friday 8 a.m.–8 p.m.; Saturday–Sunday 9 a.m.–5 p.m. EST). Site-specific camping reservations (at select state parks) are now available. We do not charge a separate cleaning fee. We do not charge a separate cleaning fee for event rooms, shelters, cottages, yurts, campsites or any other State Park accommodation. Coral Hospitality and the North Georgia Mountain Authority (NGMA) manage lodge parks. Please visit their websites below for more information on the park, as well as their reservations and policies. Pending reservations are held in your shopping cart for a maximum of 20 minutes. After 20 minutes, your unreserved selection will be released. Reservations can be made up to 13 months in advance. Reservation days begin at 8 a.m. (not 12 a.m.) Eastern Standard Time. The latest you can make a camping reservation for day-of arrival is 4 p.m. All other reservations must be made at least two days in advance. For reservations within two days, call the park directly. You cannot make same-date reservations for multiple parks. Some facilities may not appear due to renovations or seasonal availability. We accept American Express, Discover, MasterCard and VISA.